Okay, just making sure EV-ER-EE-BODEE knows about this thing! You know how sometimes, when something’s new, and everybody’s talking about it like it’s newsworthy, that you just ASSUME everyone on the planet knows about it? Okay, well this is one of those things. And I don’t want to be stupid and assume you DO know about it if you DON’T, because this is definitely a know-worthy thing. 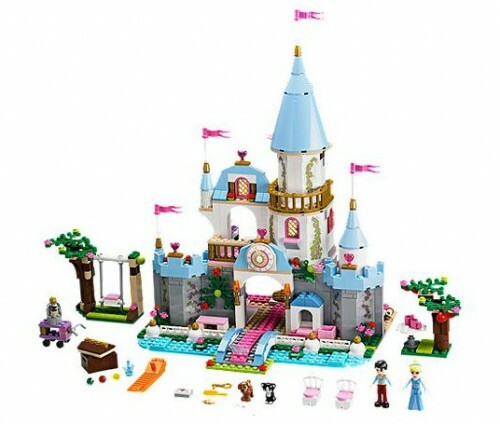 Okay, so LEGO and Disney have partnered up and they’re making REAL, like, non-Duplo, Disney Princess Lego Sets now. So, hello, like, you wanna build Cinderella Castle? Bippity Boppity BAM, now you can. Wanna build Ariel and her Undersea Adventure? It won’t cost you anything but your voice, and shipping and handling. Are you a Merida Fan? Boom! Your fate is sealed. So, head on over and start stocking up for the holidays. Or, for, you know, your own private collection that you have in your basement that no one’s allowed to touch. Because that’s okay, too. This will be finding its way to beneath our Christmas tree – I only wish they had made this set when I was little!